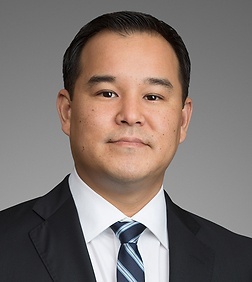 Michael Chan is a partner in the Tax, Employee Benefits, and Executive Compensation Practice Groups in the firm's Los Angeles office. Michael counsels employers with respect to the design, administration and legal compliance of qualified retirement plans, including defined benefit plans, employee stock ownership plans, tax-sheltered annuities and defined contribution plans. His experience in this area includes (i) advising plan sponsors (in addition to plan administrators, trustees and other plan fiduciaries) with respect to their fiduciary obligations, including reporting and disclosure requirements, under the Employee Retirement Income Security Act of 1974, as amended ("ERISA"), (ii) representing plan sponsors seeking amnesty under the Internal Revenue Service's Employee Plans Compliance Resolution System and the Department of Labor's Voluntary Fiduciary Correction Program, and (iii) assisting plan sponsors with various other compliance issues that arise in the day-to-day operations of qualified retirement plans. Michael also has extensive experience in assisting employers with the maintenance and administration of welfare benefit arrangements, such as cafeteria plans (also known as Section 125 plans), medical expense and dependent care reimbursement programs, medical plans for active and retired employees, severance plans and self-funded plans involving voluntary employees' beneficiary associations (also known as VEBAs) established under Internal Revenue Code Section 501(c)(9). Additionally, Michael counsels employers regarding their obligations under COBRA and HIPAA, as well as the developing regulations under healthcare reform legislation. A significant portion of Michael's practice involves advising clients with respect to the employee benefits and ERISA-related issues that arise in the context of mergers and acquisition transactions. His experience in this area includes negotiating and drafting provisions for transactional documents to reflect the division of responsibilities for employee benefit-related liabilities and the representations and warranties regarding such liabilities. Michael advises clients with respect to equity and non-equity based incentive compensation, nonqualified deferred compensation, change in control, and severance arrangements, including the Internal Revenue Code rules governing the taxation of such arrangements.